Authorities have arrested a 26-year-old man connected to the Islamic State (ISIS) who was allegedly plotting a terrorist attack in San Francisco over the Christmas holiday. The FBI reports that they arrested Everitt Aaron Jameson, a truck driver from Modesto, California. He referred to himself as Abdallah adu Everitt ibn Gordon. He is charged specifically with attempting to supply support to a foreign terrorist organization and he has posted pro-ISIS and pro-terrorist posts on Facebook. His intended target was San Francisco’s famous Pier 39. Jameson was apparently unknowingly chatting with an undercover FBI agent and was arrested earlier this week. A search of his home found several firearms as well as fireworks. "The San Francisco Police Department was notified by the FBI about this investigation several days ago and we remain in contact with our local, state and federal partners as this case proceeds. The safety of all San Francisco residents and visitors is our top priority. As we have stated in previous weeks, during the holiday season the public will notice an increased law enforcement presence in shopping corridors and at our City's attractions. As always, "if you see something, say something." We encourage the community to contact officers or 9-1-1 to report suspicious activity." The 26-year-old would-be terrorist told the FBI that he was ready and willing to die and that Christmas was a perfect day to commit his attack. 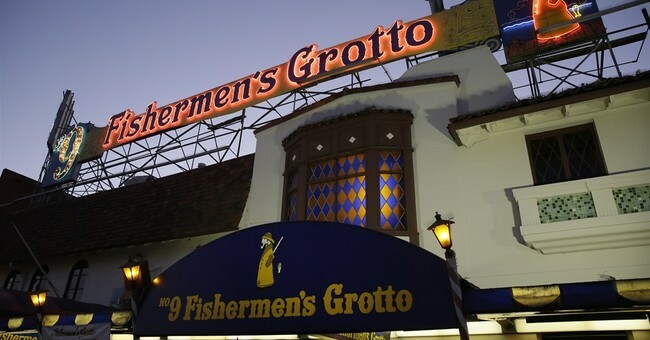 He also said he chose Pier 39 because he "had been there before and knew it was a heavily crowded area." He added that he could "funnel" a large amount of people into a tiny space for mass casualties. He told the FBI informant that he was inspired by an ISIS-style terrorist attack on October 31 in NYC that killed 8 people as well as the 2015 Islamic-extremist shooting in San Bernardino. This story will be updated as more details come in.